All Island Renovation’s employees have extensive experience in the local Victoria and Southern Vancouver Island area dealing with all aspects of the home improvement and renovation industry. As your home renovation, repair and improvement specialists, you can expect the finest in workmanship, attention to detail and competetive pricing. 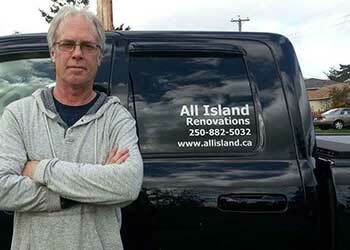 We appreciate your interest in All Island Renovations and Home Improvement in Victoria BC. Indulge yourself in the luxury you deserve. You’ll be surprised at how affordable a new look for your home can be!